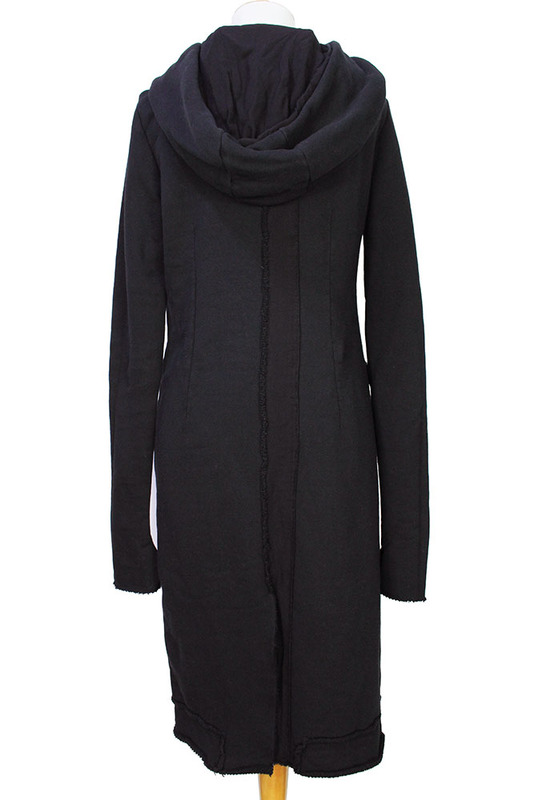 Pal Offner over-dyed, sweat fabric, fitted, hooded coat in black. 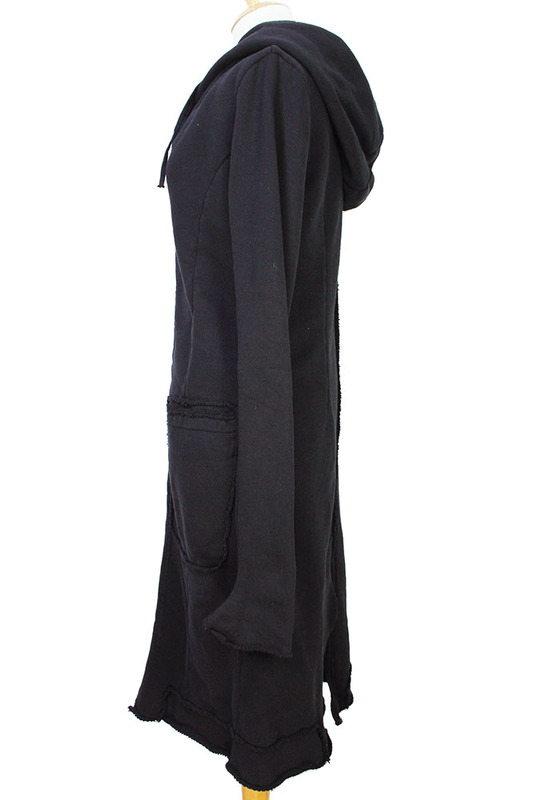 Full length, double zip fastening on a slight angle down the front, with raw edges. Angled zip pocket on right with fabric pull and patch pocket on left with raw edged details. Raw edged hem with panel inserts. At rear, double layered panel down the centre with raw edged seam details and single vent. Partially lined and hood fully lined. Wonderful piece of clothing with real attitude!